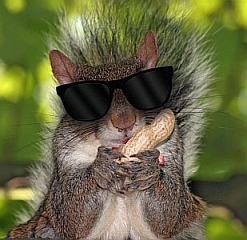 Once in awhile, a blind squirrel will find a nut. No one is wrong all of the time. Such is the case with the Obama administration and Homeland Security’s decision to push back the implementation of the so called “Real ID” requirements for state issued driver’s licenses and ID cards. The law would have taken effect starting May 11, 2011. Anyone who did not have an ID that met the requirements set forth in the 2005 Real ID Act would have been denied access to federal buildings and prohibited from flying. The fact that this law was proposed back in 2005 when the Republicans had control of Congress and signed by President George Bush adds salt to the wounds of any true Conservative. The problems with this law are many. First is the cost. The Department of Homeland Security estimated that it would cost states no more than $3.9 billion dollars. The National Conference of State Legislatures estimated the cost of implementation at $11 billion over 5 years – almost 3 times the estimate from Homeland Security. Sixteen states have passed statutes in opposition to Real ID and another eight states have passed statutes making the Real ID requirement impossible to implement. Clearly these states understand that at this point in time – or any point in time – the Federal government cannot continue to lay costs on the states for bills that some Congresscritter inside the beltway thinks is a good idea. Conservatives generally fall into two camps when dealing with the Constitution. They are either “originalists,” who believe in the original intent of the Constitution, or “constructionists,” who believe that the Constitution says what is means to say. Think about this for a second. Want to talk to your Senator or Congressman? Got an Real ID card? No? Sorry. Go away. Want to file a court case in a Federal Court? 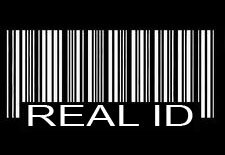 Got a Real ID card? No? Sorry. Go away. What happens when a person is called for jury duty and does not have a Real ID? Are the courts going to find them in contempt? As far as the Federal Government is concerned, without a Real ID, you are a “non person.” Or more specifically, you are a “non-citizen.” You don’t exist. Now I have a good friend who says that idea of a Real ID doesn’t bother him. His rational is that as a former member of the military, he was used to presenting a Federally issued ID to enter areas on a base, or to receive services both on and off base. His point would carry more weight if the average citizen were a member of the military. The average citizen is not. Just because he is used to an issued ID does not mean that the rest of us have to get used to it. Which brings up the third reason this law must be fought and defeated: once government enters into an area of a person’s life, they never leave. As an example, my Social Security card has a statement on the back that it is never to be used for any type of identification except for direct contact with the Federal government. How many states use Social Security numbers as driver’s license numbers? Want to open a bank account? You have to give them your Social Security number. Dealt with a large company like AT&T lately? They want your Social Security number. Want to run a credit check? You’d better have a Social Security number. These are but a few of the examples where the Federal government wiped their original agreement with citizens off the face of the earth and replaced it with another agreement that has negatively impacted citizens. Don’t believe me? When someone steals your identity, one of the things a thief wants the most is your Social Security number because of the number of things they can do with it. The potential list of “purposes” could be long. Real ID could in theory be required for traveling on Amtrak, collecting federal welfare benefits, signing up for Social Security, applying for student loans, interacting with the U.S. Postal Service, entering national parks, and so on. Q: What about buying firearms? That’s an open question. Homeland Security last month refused to rule out requiring Real ID for firearm purchases in the future. (Stewart Baker, the Homeland Security Department’s assistant secretary for policy) cited a 2005 federal law, which requires pharmacies to keep tabs on how often people buy certain drugs, such as cold medicines containing pseudoephedrine, that can be used to concoct the drug. The key to that process, naturally, is verifying the customer’s identity through some sort of document. Will the Real ID make us any safer? Probably not. There is not one scrap of evidence that suggests that this is not just another case of “we have to do something, so let’s spend money and look like we are.” There is not one shred of reason to suggest that this is not a way of monitoring people and their legal habits. h/t to our friend jayaraitch for the “blind squirrel” idea and inspiration for the accompanying graphic.